The Acton-Boxborough Community Education Extended Day Program offers before and after school care, a well as childcare during school breaks, for children in grades K-6 who attend one of our District's six elementary schools. 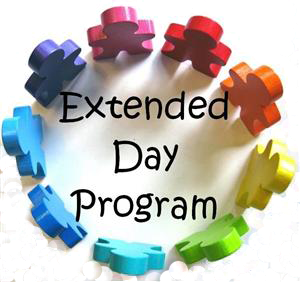 The Extended Day program has sites in all 6 Elementary Schools in Acton & Boxborough. Extended Day students are grouped by grade levels, with separate staff members assigned to each group. The program is located in the school cafeteria. We have use of the computer lab for homework, the gym, the tot lot and the playground. The Extended Day program is designed to allow children freedom to choose among such activities as arts & crafts, nature & science, games, cooking and sports. A quiet study area is available for students who wish to do homework. Outdoor recreations periods (weather permitting) are scheduled daily. Milk or juice and a nutritious snack are provided. Our professional staff consists of a Director, Head Teachers, Teacher Assistants, and a number of high school students who (assist in the program under the direction of the teachers). All Head Teachers must hold a bachelor’s degree in education or a related field. is required for each child.